Located only two blocks from Main Beach, this complex offers large, stylish, individually decorated one and two bedroom apartments. All apartments are airconditioned with fully equipped kitchens, DVD, stereo, laundry facilities, private terraces and undercover parking. A solar heated plunge pool is also available to guests. There is a cafe on the ground level and Byron's main street is only a short stroll away. 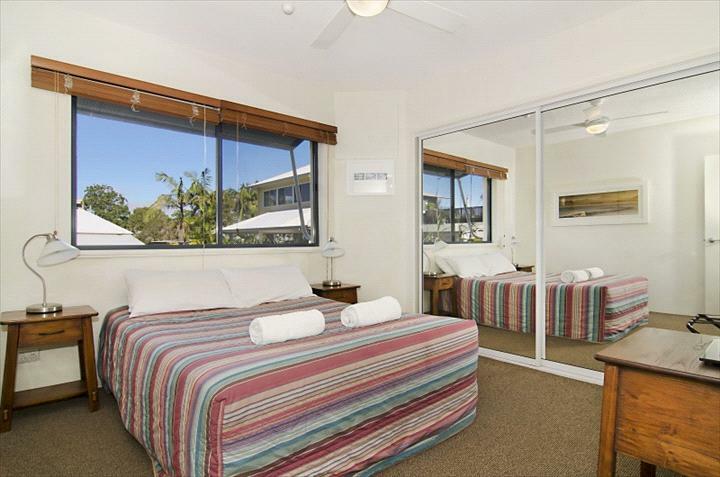 Bedrooms and Bathrooms Linen is provided, just bring your beach towels 1 Bedroom Apartment - Queen bed and bathroom with shower. Please note in some units the bedroom is separated from living area with bifold doors 2 Bedroom Apartment - Queen bed and 2 Single beds and bathroom with shower and bath, separate toilet. 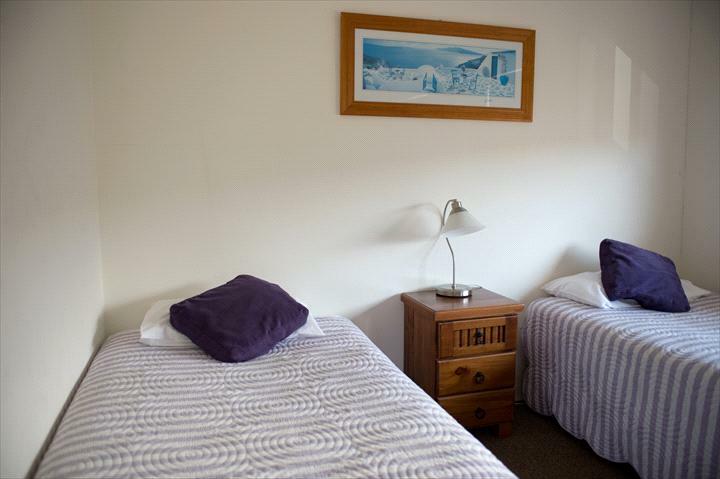 The One Bedroom Apartments provide spacious accommodation for up to 2 people. 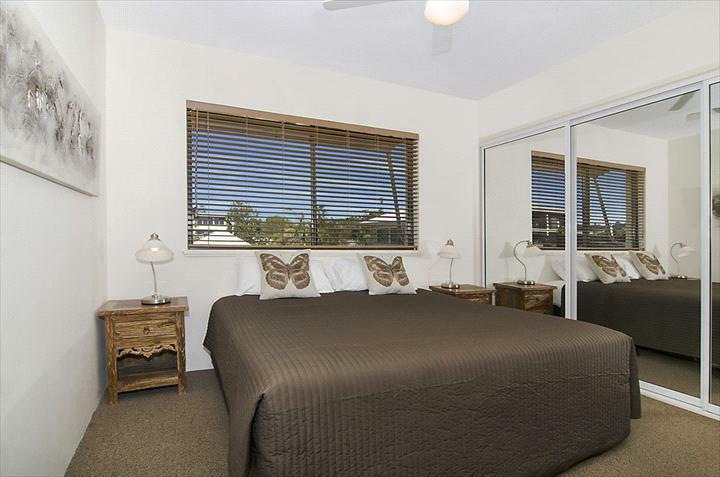 All guest apartments are fully self-contained thus allowing you the comfort and convenience of apartment accommodation. 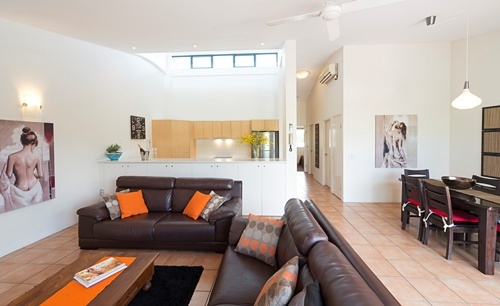 Features include a separate bedroom and a lounge/dining area, furnished balcony, bathroom, laundry and kitchen. Rates for the One Bedroom Apartment are for 2 people. The room caters for a maximum of 2 adults, and a maximum of 1 child but cannot exceed 2 guests in total. Queen bedding only. Cots are allowed in this room type. Car parking available on site. Please request when making your reservation. 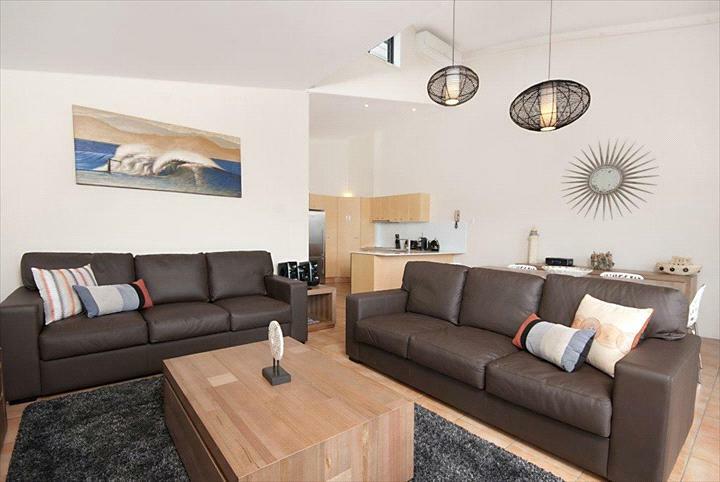 The One Bedroom Superior Apartments provide spacious accommodation with that little bit more! 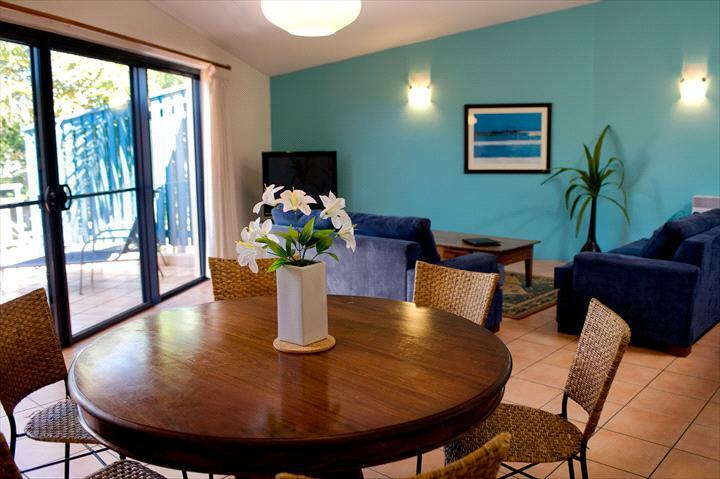 All apartments are fully self-contained allowing you the comfort and convenience of apartment accommodation. 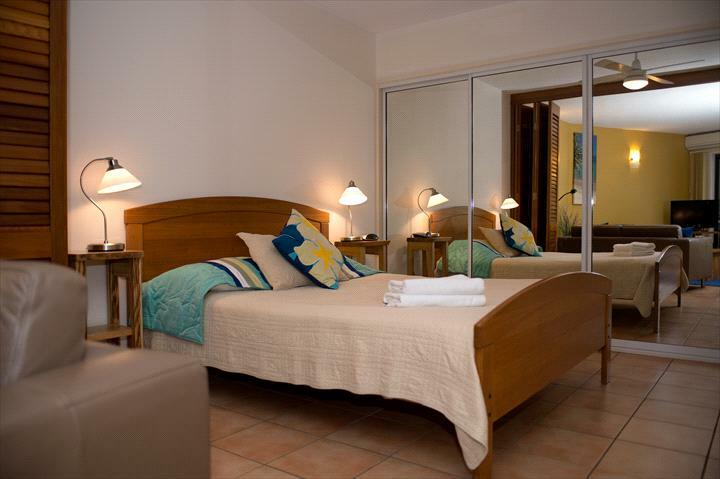 All guest apartments feature a lounge/dining area, furnished balcony, bathroom, laundry and kitchen. Rates for the One Bedroom Superior Apartment are based on 2 people. The room caters for a maximum of 3 adults, and a maximum of 1 child but cannot exceed 3 guests in total. Queen bedding only. Extra bed cost applies for the 3rd person. Cots are allowed in this room type. 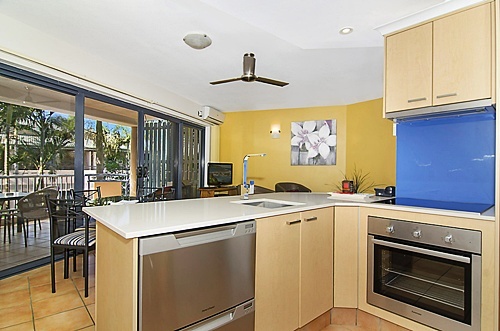 Perfect for families after a great value holiday apartment in the heart of Byron Bay. 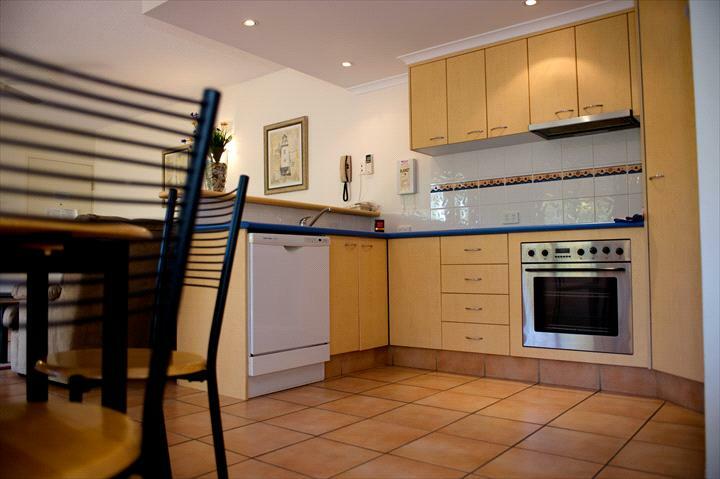 Fully self contained, comfortable and roomy Two Bedroom Apartment. - Queen Bed /King Beds with large wardrobes and single beds. Sofa beds in some units. Rates for the Two Bedroom Apartment are based on 4 people. 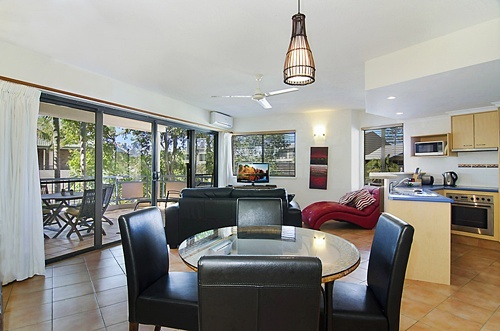 The room caters for a maximum of 5 adults, and a maximum of 3 children but cannot exceed 5 guests in total. Extra bed cost applies for the 5th person. Cots are allowed in this room type. 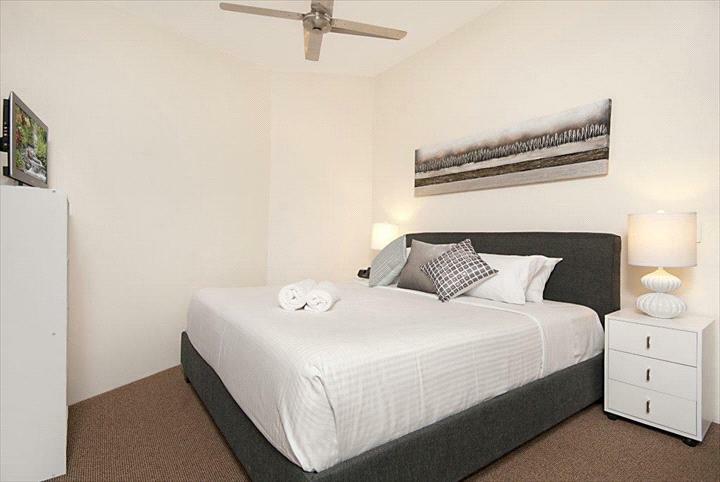 Rates for the Two Bedroom Superior Apartment are based on 4 people. The room caters for a maximum of 5 adults, and a maximum of 3 child but cannot exceed 5 guests in total. Extra bed cost applies for the 5th person. Cots are allowed in this room type.